First of all lets get a few things cleared up about Frank Avenue. 1: Each review listed on Frank Avenue is my own personal opinion, just because I think something is god awful doesn't mean to say that Joe Bloggs doesn't think its absolutely bloody fantastic. I am MORE than happy for people to post comments on each review with there own personal opinions, just so long as you all remember that we are all still entitled to our own view. Comments stating that anyones review is rubbish or incorrect will be removed. 2: Review websites can be harsh. 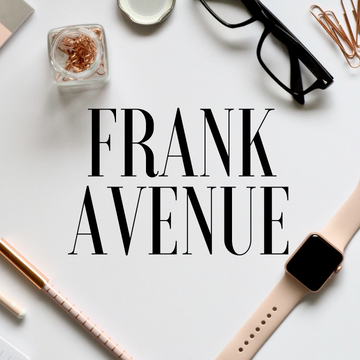 Frank Avenue is no exception to that. 3: Frank Avenue is not for the person who is out with friends and slaps their hands over there ears and says "No don't tell me what happens, I haven't seen it yet / Haven't read it yet / Haven't visited yet!" 4: SPOILERS ARE GUARANTEED. My apologies but if you came to Frank Avenue you should already know that Book, Movie and TV reviews will contain all out spoilers. My advice would be don't read the review until you've seen it, read it, or been if you don't want to know who dies, how it ends or what its like. All of this will more than likely be included in the review.